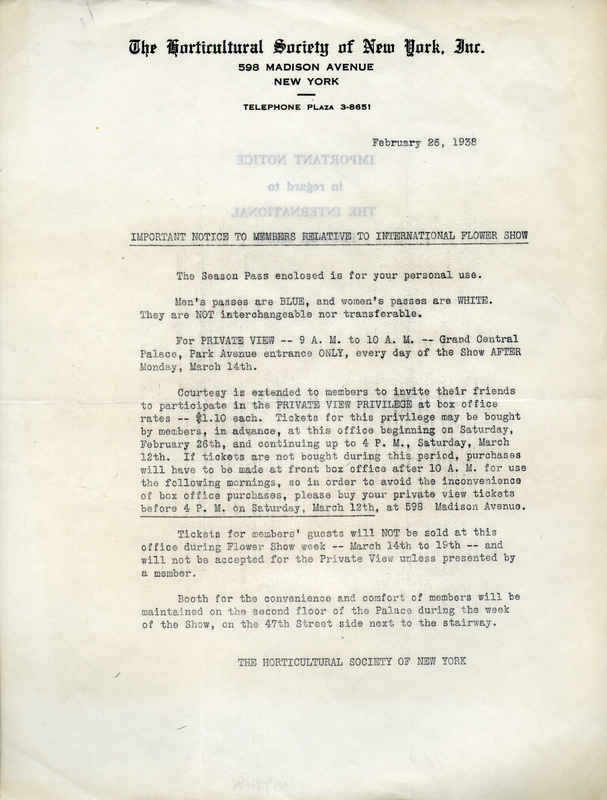 Martha Berry Digital Archive | Letter to Martha Berry from The Horticultural Society of New York, Inc.
Letter to Martha Berry from The Horticultural Society of New York, Inc.
A letter to all members of the Horticultural Society regarding use of their passes and how to get guest tickets for private viewing of the international flower show. The Horticultural Society of New York, Inc. 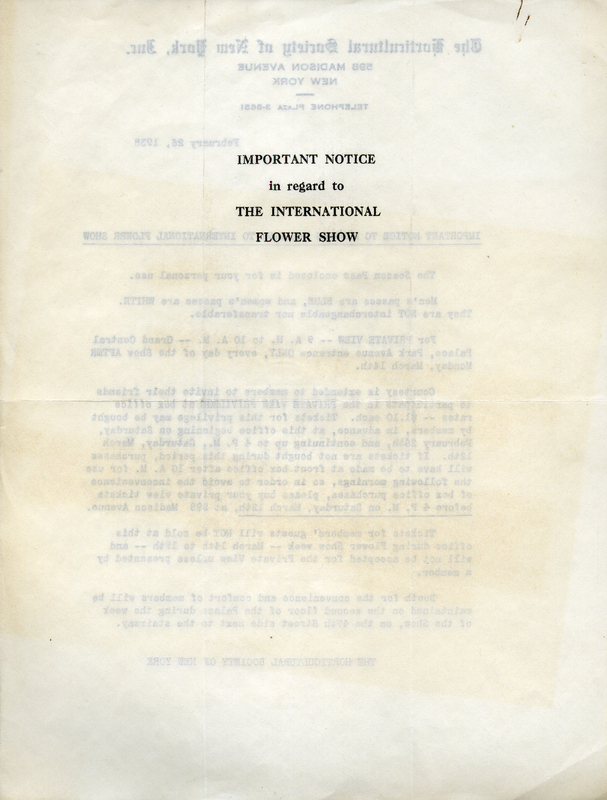 The Horticultural Society of New York, Inc., “Letter to Martha Berry from The Horticultural Society of New York, Inc..” Martha Berry Digital Archive. Eds. Schlitz, Stephanie A., Jessica Hornbuckle, Savannah Harris, et al. Mount Berry: Berry College, 2016. accessed April 19, 2019, https://mbda.berry.edu/items/show/14676.